Definition at line 36 of file CReportDefinitionVector.h. Definition at line 36 of file CReportDefinitionVector.cpp. Definition at line 42 of file CReportDefinitionVector.cpp. Definition at line 47 of file CReportDefinitionVector.cpp. Definition at line 57 of file CReportDefinitionVector.cpp. 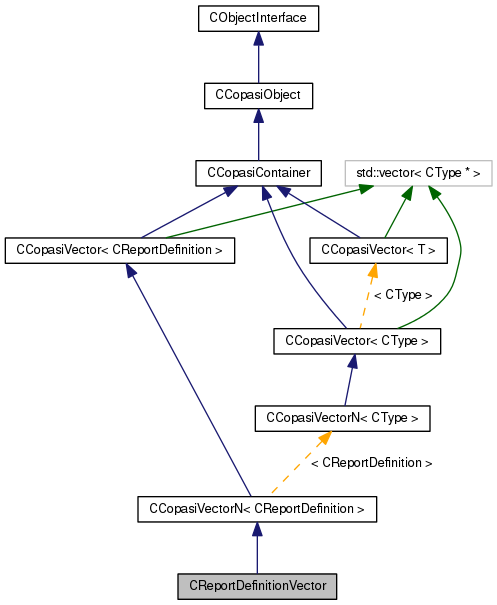 References CCopasiVectorN< CReportDefinition >::add(), CReportDefinition::setComment(), CCopasiObject::setObjectName(), and CCopasiVector< T >::size(). Referenced by COutputAssistant::createTable(), and test000087::test_simulate_reaction_flux_reference_1(). Definition at line 52 of file CReportDefinitionVector.cpp. Definition at line 73 of file CReportDefinitionVector.cpp. Definition at line 39 of file CReportDefinitionVector.h.